· Preheat oven to 170C and line baking tray with baking paper. · In a large saucepan melt cocnut oil. Add xylitol and milk and stir until xylitol dissolved. 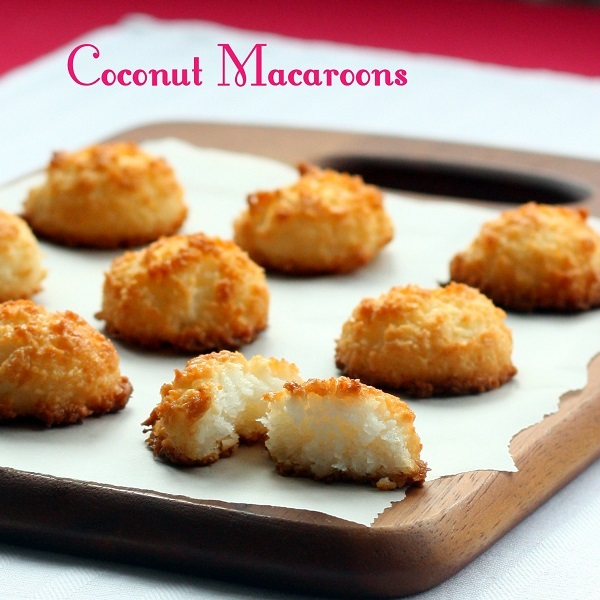 · Add coconut and cook it for couple minutes but be careful not to burn it. Let it cool down a bit. · Whisk the egg whites to form soft peaks. Add coconut mixture and mix gently. · Shape mixture into little balls. Use about 1 tablespoon of mixture for one ball. You can do it using ice cream scoop or just by hands. I used the biggest measuring spoon and it worked fine as well. Spaced them about 3 cm apart on a baking tray. Bake for about 15 minutes until golden brown. Let it cool down before serving (on hot days I recommend to put them in a fridge). I have just made them and they are great. I used Sweet and Low sweetener and it worked well. Thanks for a great recipe. Could erythritol be successfully substituted for the xylitol? Can't wait to try these! Hi and thanks for the recipes. Not sure how to use grams as I have no scale. I converted 140 grams xylitol to 9 tablespoons, is this correct?